IT is my favorite Stephen King book. I’ve read it during the day with the lights on because the story truly frightened me. I watched the previous film adaptation, loving Tim Curry as Pennywise. The film was made for television, though and it didn’t frighten me as much as the book. When I heard a new adaptation was being made, I had two thoughts: How were they going to replace Tim Curry who is irreplaceable and were they going to be able to make it more frightening on the large screen? After watching trailers, I entered the theatre filled with cautious optimism. I left impressed with the new Pennywise and disturbed. The new film is creepy, twisted, and captures the heart of the story. If you’ve read the book, you know the story. But for those who haven’t, here’s a recap. IT revolves around the town of Derry, Maine where a group of seven children discover a dark secret lurking in the heart of the town. The story begins with the disappearance of Georgie Denbrough (Jackson Robert Scott). He and his brother Bill (Jaeden Lieberher) make a sailboat together. Bill stays behind, sick in bed, while Georgie takes the boat out into the flooded streets. 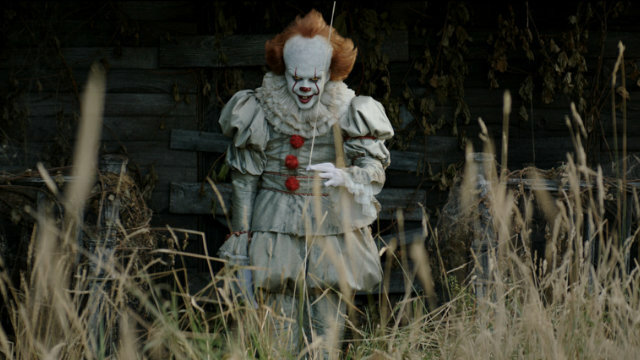 After his boat sails down into the drain, he encounters Pennywise (Bill Skarsgård), who offers him his boat. 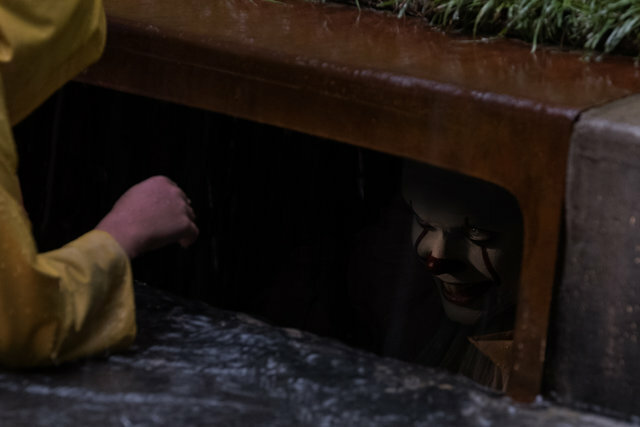 Pennywise transforms, bites off Georgie’s arm and pulls him into the sewers. Six months later, Bill is still trying to recover from the disappearance of his brother. 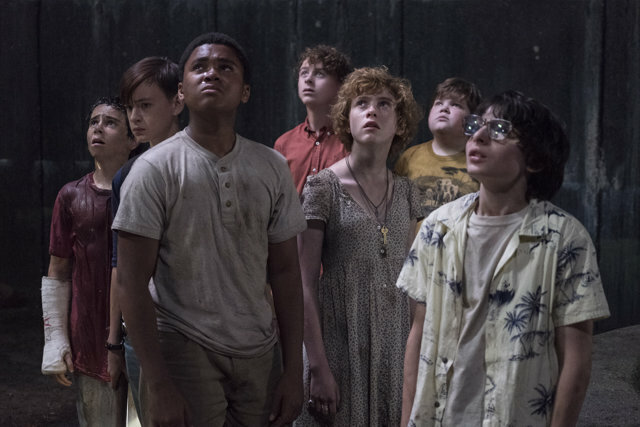 After school lets out for the summer, he is joined by his friends, Richie Tozier (Finn Wolfhard), a loudmouth nicknamed Trashmouth, Stanley Uris (Wyatt Oleff), a pessimistic Jewish boy and Eddie Kaspbrak (Dylan Grazer), a hypochondriac. They pass Henry Bowers (Nicholas Hamilton), a psychopathic bully and his gang of friends, who make threats to the boys. But manage to escape to search the Barrens for Georgie. Meanwhile, Beverly (Sophia Lillis) is bullied by popular girl Gretta (Megan Charpentier). We later learn that Beverly is abused by her father. After Beverly leaves, she runs into kind but overweight Ben Hanscom (Jeremy Ray Taylor) who has a crush on her. Mike Hanlon (Chosen Jacobs), who lives on a farm with his grandfather is plagued by Henry due to his ethnicity. The seven each have separate encounters with IT. Ben is troubled by a headless man while in the library researching the town of Derry. After he races out of the library, he is harassed by Henry and his gang which brings Ben together with Bill and the other boys. They get assistance by Beverly and due to Henry’s harassment, meet Mike. They eventually share their information about IT, coming up with a plan to fight the monster and in the end, only their ability to stick together can save them. 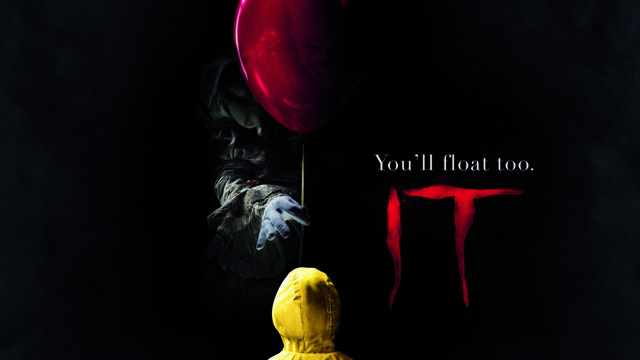 Part of what I liked is that the writers manage to encapsulate Stephen King’s themes from the book into the movie, the ideas of innocence, conquering the fears and demons of childhood, dealing with mortality. Those concepts are brought to life in the film. 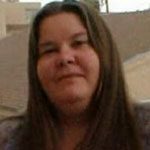 Each of the children must deal with their fears, both fighting IT as well as the more personal issues in their lives and overcome them with the help of the others. Ben is assisted by Bill and the others when he is hurt by Henry. Mike is rescued from the bullies by the group. Beverly fights back against her father’s abuse. Eddie learns the truth about his medicine, that it is a placebo and that he is stronger with his friends. Bill deals with the death of his brother. These elements from the book are brought to the screen and the authenticity makes for a stronger movie than the previous adaptation. Where this movie shines, though, is in the acting. Each of the child actors does an incredible job of portraying their character, both highs and lows. All the performances are strong but Sophia Lillis is especially excellent as Beverly. She deftly shows through her reactions the abuse the character suffers from her father without the writers needing to be graphic. Jeremy Ray Taylor is sweet as Ben Hanscom and Jaeden Lieberher makes viewers empathize with his pain over his brother’s disappearance. Bill Skarsgård is phenomenal as Pennywise, his antics disturbing and seen through the eyes of the children, he is terrifying. 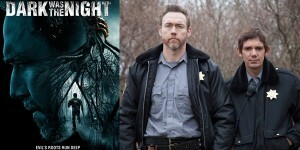 He brings a different approach to the character than Tim Curry’s version and I was impressed, finding it a slightly stronger performance with the portrayal feeling more inhuman and closer to the character in the book. The special effects in the film are outstanding. Each iteration of IT is thought out with details that bring the creature to life. Pennywise’s mouth is slightly wider than normal and the layers of teeth when he opens his mouth made me cringe. Each effect adds to the overall tone of the movie, layering in the darkness and fear. While I can’t share all the details, the design of both IT and other effects are well done. The strongest story arcs are Bill, Beverly, and Ben. But there are seven characters. While all of them have encounters with IT, Ritchie’s story is not fully developed while Mike and Stan’s story arcs are whittled away. Frankly, Stan’s is just gutted. Stan comes across as a token Jewish kid with the only real information we know about him is that he’s preparing for his bar mitzvah. We don’t really get much depth on the character and we don’t get a real sense of just why Stan is so terrified of IT. Half of Mike’s arc is given over to Ben. In the books, Mike is the historian, telling the other children a lot of what’s wrong with Derry. In the movie, he is relegated to giving them only his family’s back story. Instead, Ben gets to give all the history to the others. While this allows the story to flow faster, it fails the character. Mike’s character falls flat. Instead of keeping the African American character with a complex background, he gets shortchanged in favor of a white character. If they ever make the second part, this lessens the emotional impact of both characters and leaves viewers with less insight into their motivations in the future. While Bill Skarsgård’s performance of Pennywise is without peer, I am left with mixed emotions over the overall tone of the movie. Pennywise was creepy and obviously terrifying to the children. What he wasn’t was scary, to me. It might have been I was too familiar with the events of the book but I wasn’t as crawl-out-of-my-seat scared as I normally am at a horror movie. I truly feel he was used too much. While the themes of the movie were well depicted, the more I saw of Pennywise, the less scared I was. This worked for the story as the children find their power and fight the monster. And that’s why I’m torn. I wanted to be more scared but macabre was what the story needed and helped the children’s narrative be more powerful. Overall, as a fan of the book I was disappointed by the loss of Mike and Stan’s character arcs. 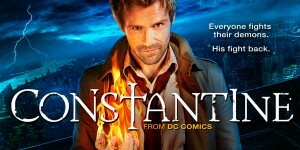 While new fans will potentially not miss that information, I feel it will hinder any future sequels. But I was thrilled by Bill Skarsgård’s performance. Fans will fall in love with it, new and old. The children brought exceptional acting to their roles. While the movie wasn’t as scary as I hoped, the sinister tone worked well with the theme of the movie. It was dark, gross, and menacing and much better than I anticipated. While the themes of the movie were well depicted, the more I saw of Pennywise, the less scared I was. This worked for the story as the children find their power and fight the monster. And that’s why I’m torn. I wanted to be more scared but macabre was what the story needed and helped the children’s narrative be more powerful.